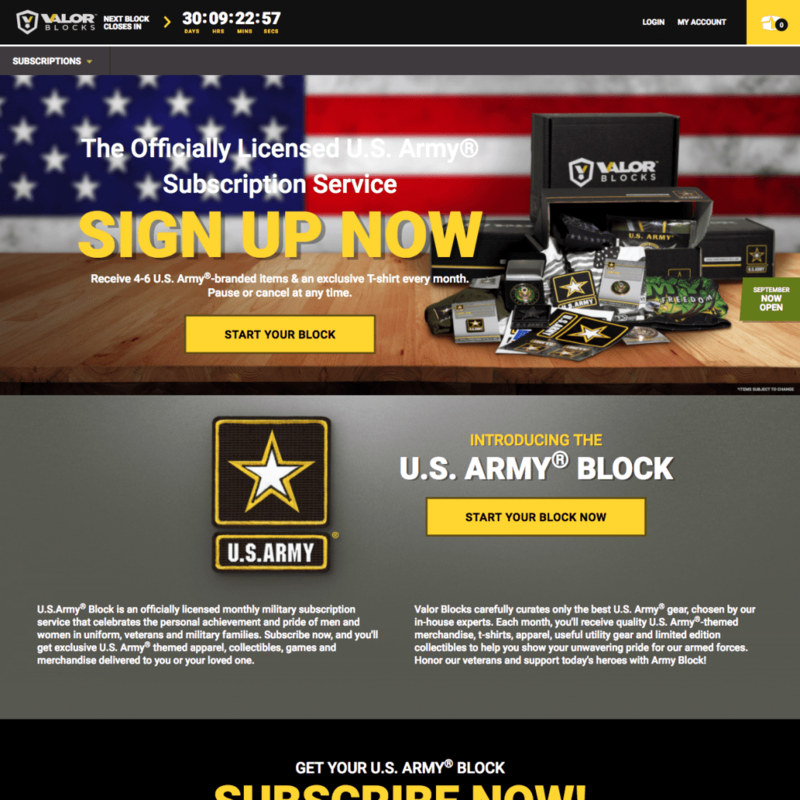 Valor Blocks is an officially licensed subscription box service celebrating protective service organizations and community service groups. 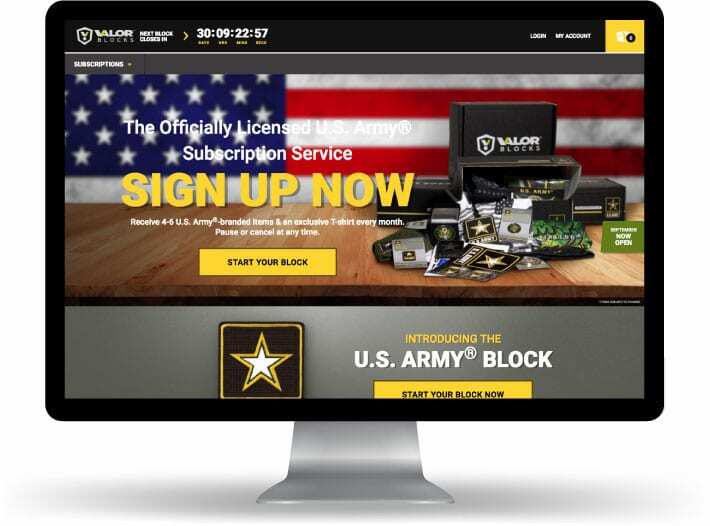 Monthly subscribers receive custom-curated collections of themed apparel, books, accessories, housewares and more. 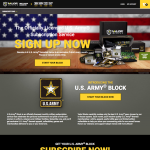 Each month, members receive a mystery box of entertaining and useful merchandise celebrating their selected service. 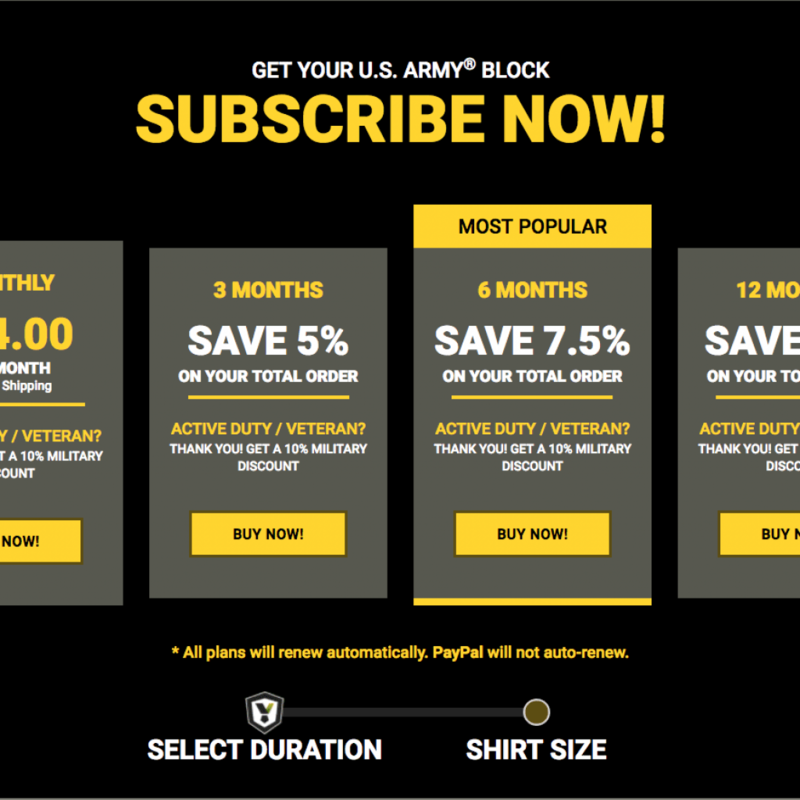 Starting with the U.S. Army, Valor Blocks will help Protective Services organizations and community service groups build brand awareness, and create value by connecting groups of like-minded service professionals and their supporters. 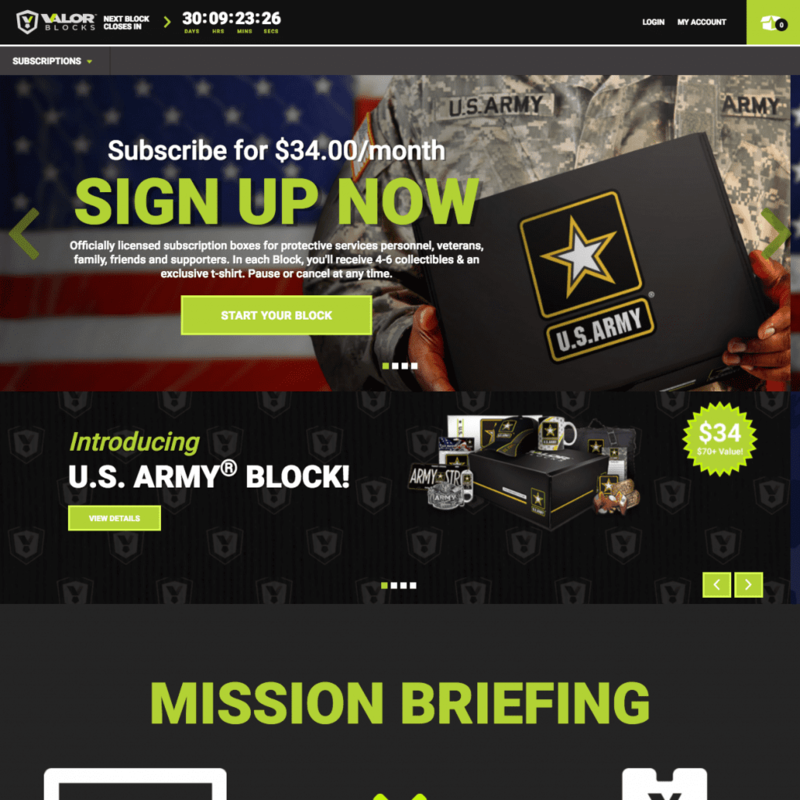 Valor Blocks understands that military service is an all-encompassing, “all-in” way of life. 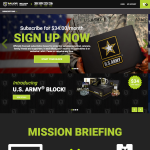 The company also knows that military personnel, veterans, their family and friends and patriotic Americans are always looking for ways to celebrate the unique and dedicated world of America’s armed forces. 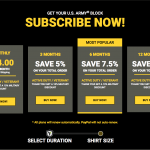 A cornerstone of these U.S. Armed Forces partnerships with Valor Blocks is the company’s commitment to source ethically-produced goods of the highest quality, and to ensure that each block shipped is built in America, by Americans, to honor America.